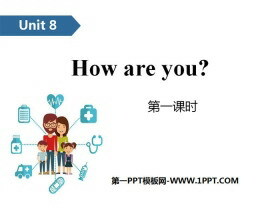 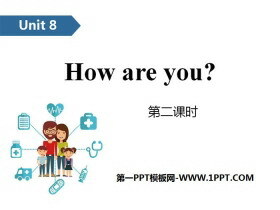 《How are you?》PPT(第二课时) 第一部分内容：Introduce fever hear This is Yang Ling speaking. 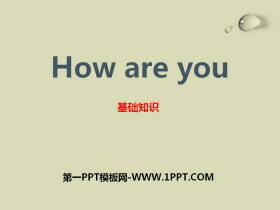 ... ... ... How are you?PPT，第二部分内容：Words may [mei] 情态助动词，意为可以。 常用短语：may be 也许，可能 May day..
《How are you?》PPT(第一课时) 第一部分内容：Introduce thirsty speak This is Mrs Fox speaking. 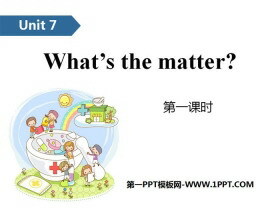 ... ... ... How are you?PPT，第二部分内容：Words fever [fi:v] 名词，意为发烧，发热。 常用短语：high fever 发高烧; ha..
《How are you?》基础知识PPT 第一部分内容：重点单词 1.may 可以 2.cold 感冒 3.fever 发烧 4.hear 听到，听见 5.cough 咳嗽 6.headache 头疼，头痛 ... ... ... How are you?PPT，第二部分内容：重点短语 1.speak to 和通话/..
《What's the matter?》PPT(第二课时) 第一部分内容：Introduce tired dear Can I have some water,Mum? 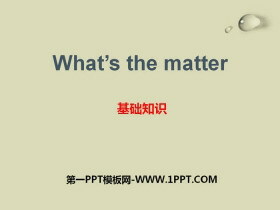 ... ... ... What's the matter?PPT，第二部分内容：words thirsty [:sti] 形容词，意为渴的，口渴的。 常用短语：thirs..
《What's the matter?》PPT(第一课时) 第一部分内容：Introduce sweater wrong Whose...is this/are these? 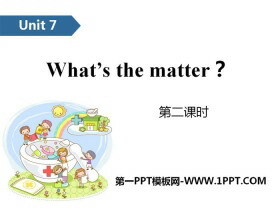 ... ... ... What's the matter?PPT，第二部分内容：Words tired [taid] 形容词，意为累的，疲劳的。 常用短语：get ..
《What's the matter?》基础知识PPT 第一部分内容：重点单词 1.happy 快乐的，高兴的 2.ill 生病的 3.thirsty 渴的，口渴的 4.tired 累的，疲劳的 5.water 水 6.dear 亲爱的 7.Mrs 夫人，太太 8.speak 说话，讲话 ... ... ... ..
《Whose dress is this?》PPT(第二课时) 第一部分内容：Introduce too trouser Its too short. 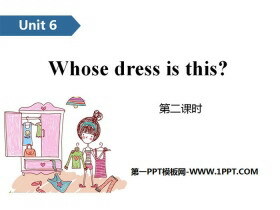 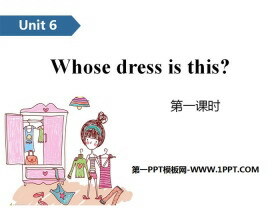 ... ... ... Whose dress is this?PPT，第二部分内容：Words sweater [swet] 名词，意为毛衣，绒衣。 固定搭配：red sweater 红毛..
《Whose dress is this?》PPT(第一课时) 第一部分内容：Introduce spring autumn I like winter. 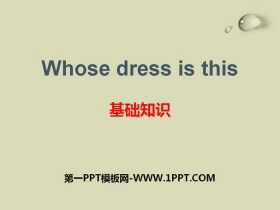 ... ... ... Whose dress is this?PPT，第二部分内容：Words too [tu:] 副词，意为太，过于。 常用短语：too much 太多 too dif..
《Whose dress is this》基础知识PPT 第一部分内容：重点单词 1.dress 连衣裙 2.too 太，过于 3.trousers 裤子 4.party 聚会，派对 5.glove 手套 6.so 如此，这么 7.coat 外衣，外套 8.shirt (男式)衬衫 9.sweater 毛衣；绒衣 ..
《Seasons》PPT(第二课时) 第一部分内容：Introduce season warm In spring, it is warm. 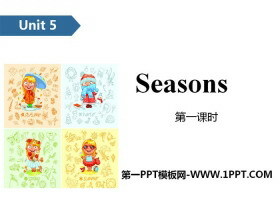 ... ... ... SeasonsPPT，第二部分内容：Words spring [spri] 名词，意为春天。 固定搭配：last spring 去年春季 hot spring 温泉 eg：..
《Seasons》PPT(第一课时) 第一部分内容：Introduce draw river What can you see? 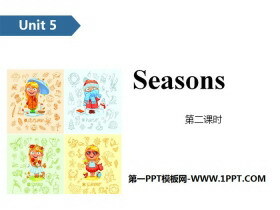 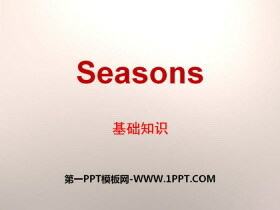 ... ... ... SeasonsPPT，第二部分内容：Words season [si:zn] 名词，意为季节。 常用短语：dry season 旱季 in season 应时的；当令 eg： Au..
《Seasons》基础知识PPT 第一部分内容：重点单词 1.season 季节 2.spring 春天，春季 3.warm 温暖的，暖和的 4.fly 放(风筝、飞机模型等) 5.kite 风筝 6.summer 夏天，夏季 7.hot 热的，炎热的 8.autumn 秋天，秋季 9.cool 凉..